This mid century Air France poster features the Lockheed super constellation circling the globe. Great color and motion. 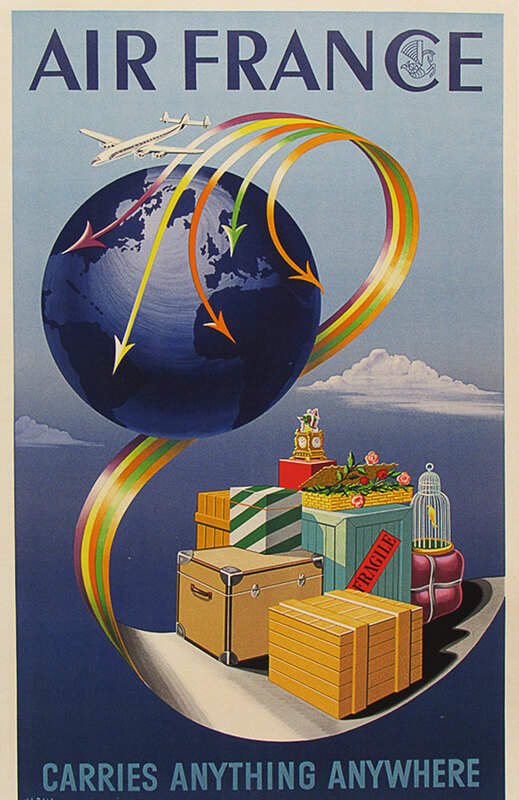 This original vintage poster is in fine condition and is linen backed.